On Tuesday, November 28, all 39 schools in Irvine came together to Turn Irvine Orange in support of Irvine Public Schools Foundation, and educational excellence in Irvine. 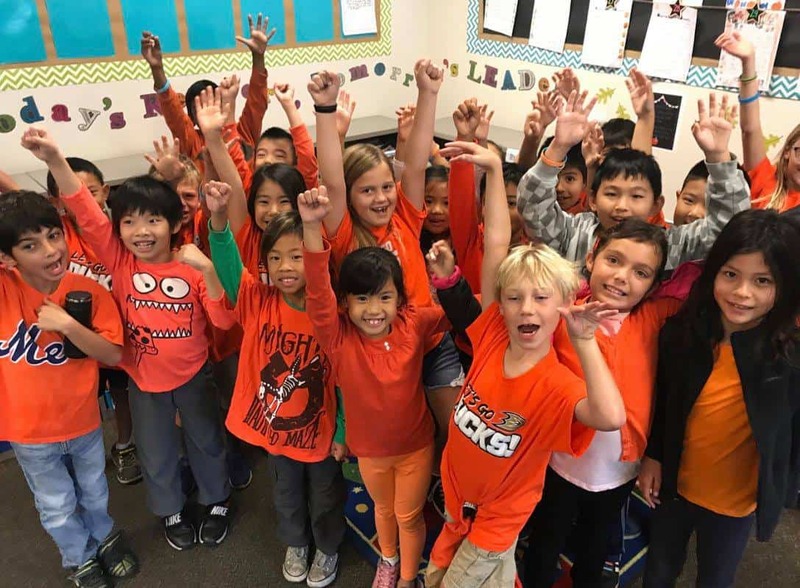 Students, parents, teachers, and community members donned their brightest orange attire and posted photos on their social media to celebrate this day of raising awareness for the causes that they care about. With the incredible community support, IPSF raised over $10,000 during #GivingTuesday. Each year, IPSF proudly donates over $5.5 million in grants, donations, and program support to Irvine Unified School District. These funds provide additional teachers and instructional assistants in the classrooms, music programs in every school, grants for teachers to bring new programs to their students, athletic trainers at each high school, and much more. IPSF depends on parent and community support to make this possible; IPSF is 100% funded by community donations, and does not receive any state or federal funding.